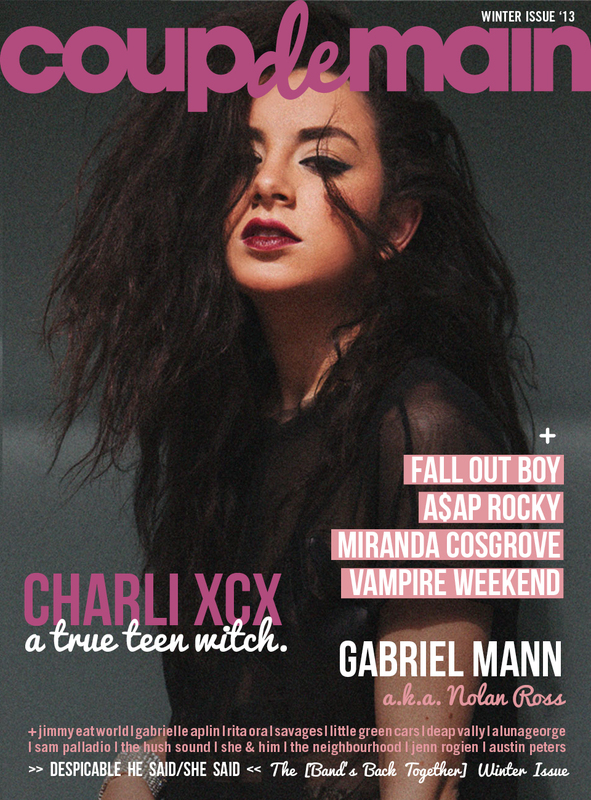 Interview: Charli XCX on her debut album, 'True Romance'. A true teen witch is a survivor of nuclear seasons and heartbreak, makes her own luck, and knows that revenge is a dish best served cold. These are all truths supported by the lessons in life and love that Charli XCX sings about on her debut album, 'True Romance' - a thirteen track curiosity that segues from poignant cautionary tales to neon party jams. Twenty-year-old Charli XCX - real name, Charlotte Aitchison - has been performing since the age of fourteen. Having cut her teeth by leading warehouse raves organised via Myspace and soundtracking Marc Jacobs and Victoria’s Secret catwalk shows in London and New York, Charli has been around the block. More recently, she's expanded her fanbase by supporting the likes of Ellie Goulding and Marina & The Diamonds on their international tours, and is responsible for writing one of the catchiest pop songs of recent times, the Icona Pop earworm, 'I Love It'. But like all teen witches know, timing is everything. And while her debut album might have been a long time in the making, it's certainly been worth the wait. ...to have true romance you have to have the moments where you feel alone and you're crying and you feel like your heart's about to break... as well as the moments where you're floating through this orgasmic dream state. I think true romance is dry schizophrenic... but life would be so boring without true love, so I guess you just roll with it, right? COUP DE MAIN: What do you want people to take away from listening to your debut album, 'True Romance'? CHARLI XCX: I just want people to feel the emotion that's in the record. For me it's very raw and beautiful, I guess it's kind of like a diary for me. I'd love for people to be able to listen to it and it make them dance and cry and the same time. CDM: What was it like working with Ariel Rechtshaid on the album? CHARLI: Amazing. He's one of the only people I completely trust with my music and my words. I couldn't have made this record without him. I'm very closed off when it comes to working with people, I'm very selective. I click with him though. So it's easy. He has the best taste. CDM: Who or what, are your main songwriting influences and inspirations? CHARLI: When I first began writing music I was really inspired by the French electro scene. I loved all the artists on Ed Banger Records - Uffie and Justice in particular. Listening to them made me want to be a musician I guess. Now I'm really inspired by Robert Smith, Robyn and Björk. I always look at my favourite photographs or favourite movies by James Bidgood or Sofia Coppola before I write my songs now - they put me in the right frame of mind. CHARLI: A good song can make you smile, or it can make you dance or laugh or remind you of a moment. A great song can make you cry and transport you to another dimension. Those are the best kind of songs. CHARLI: It might be 'What I Like'... just because all the lyrics are super cute. Or 'Grins' because when I play that song live it always feels so powerful to me. CDM: What was running through your mind when you wrote your song 'What I Like'? CHARLI: 'What I Like' is about me unashamedly celebrating having a boyfriend and being in love. It's about being so happy with someone, like they're your partner in crime. It's about not caring about anything else but them. CDM: In your personal opinion, what is true romance? What does it feel like? How do you know it's TRUE romance? 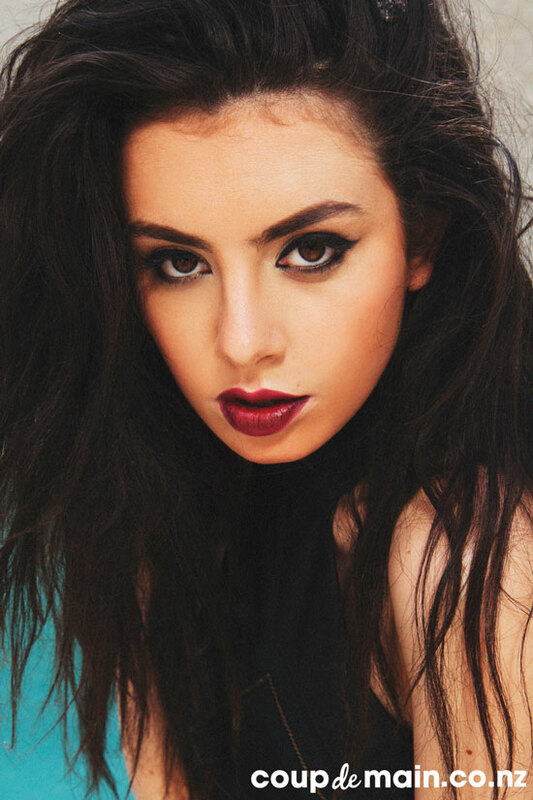 CHARLI: For me, romance is only 'true' when there are two sides to it. I think to have true romance you have to have the moments where you feel alone and you're crying and you feel like your heart's about to break... as well as the moments where you're floating through this orgasmic dream state. I think true romance is dry schizophrenic... but life would be so boring without true love, so I guess you just roll with it, right? CHARLI: Haha... I think I was about thirteen and I remember I had this song called 'Fish and Chips'. It was terrible. And I'm not really sure what it was about... I won't be airing that any time soon! CDM: What was it like writing and recording 'Just Desserts' with Marina And The Diamonds? CHARLI: Really cool. We've wanted to work together for a while now. It was really easy too... The song came together so fast... It just kind of happened and people really like it. CDM: We're now going to play a game of 'True or False?'. Tell me if the following statement is true or false... It is more important to you to be recognised for your songwriting ability, than your image. CDM: In a past life you were Baby Spice. CHARLI: Semi-true... I was Baby Spice meets super child weirdo. CDM: Candy floss is the most important food group on Planet Earth. CHARLI: False. Mexican food is. But candy floss is close second. CDM: Your spirit animal is a baby panther. CDM: Yourself and Marina Diamandis are 'sisters from another mister'. CDM: If C.H.A.R.L.I. X.C.X. was an acronym, what would each letter stand for? CDM: What's it been like touring with Ellie Goulding? CHARLI: Great. I feel like I haven't ever really done loads of stuff in Europe so it was cool to go out there and see people singing along to my songs. CDM: A friendship-crush is someone that you have no romantic interest in whatsoever, but just really wish that you were best friends with them. Who would be your top friendship-crushes, living or dead? CHARLI: Carrie, the character - not Sissy Spacek (although she's pretty cool too). She's just so magical and beautiful. Also I think it would be cool if I hung out with Serge Gainsbourg for a day... And Fairuza Balk. CDM: If you could film a re-make of 'The Craft', who would you cast yourself as? And who would you cast as your fellow teen witches? CHARLI: I would definitely cast myself as Nancy Downs, the evil one who's played by Fairuza Balk. She's a style icon. I'd probably cast Marina and Lizzy [Plapinger] from MS MR as my two sidekick evil witches and the good one can be Max [Hershenow] from MS MR... He'd be in drag though... But it would be wonderful. CDM: This is a question we're asking everyone for our next issue... what's the most despicable thing you've ever done? CHARLI: Haha ummmm... There's too many awful things... But I did make my Mum think she was losing her mind when I was about eight. I used to hate swimming at school so much that I would always sneak downstairs in the middle of the night and take my swimming costume out of my gym bag and hide it in the house somewhere. Then I'd never have to go swimming at school. This went on for months and I never got caught and my Mum turned into a nervous wreck because the thought she was losing her memory... and then one day she caught me and got super angry. That was kind of bad. CDM: If you could write a song for any pop-star, who would be top on your wish-list to work with? CHARLI: Ummm... Rihanna, Katy Perry, Gwen Stefani, Britney... The whole gang! CDM: What do you consider to be the greatest love song of all time? CHARLI: 'Nothing Compares 2 U'. It's so beautiful and it's so real. Sinéad O'Connor sings it so beautifully and Prince is such an amazing writer. CHARLI: From movie characters like Cher Horowitz and Liv Tyler in 'Empire Records' and from cheerleaders and schoolgirls. I love the rawness in fashion. Vivienne Westwood really inspires me. I love her punk ethos. Fashion is meant to be wild and expressive. I love colour but I also love basics - grungy minimalism mixed with this kind of broken-down cheerleader, is my thing at the moment. CHARLI: Cher Horowitz definitely! I bet her wardrobe is HUGE! CHARLI: Love, Lemons, Taco Bell, Robert Smith, Pop Tarts. CHARLI: To be honest I'd just love to keep writing hits for other people... That's kind of my secret dream right now. And I want to write a French pop record... That's where I'm at for the second album. CDM: And can we hope that you'll visit us in New Zealand one day? CHARLI: I've never been to New Zealand actually. All I know is that there's a lot of greenery there. I'd love to come and play a show there sometime soon for sure! Click HERE to read Coup De Main Issue #8. Charli XCX's debut album 'True Romance' is out now - featuring the singles 'What I Like', 'You (Ha Ha Ha)', 'You're The One', 'Nuclear Seasons' and 'Stay Away'.